Do you like Comando 2? Share it with your friends. The great game "Comando 2" will please above all all fans of action entertainment. Start a battle that is seemingly lost even before it started against a huge number of enemies. 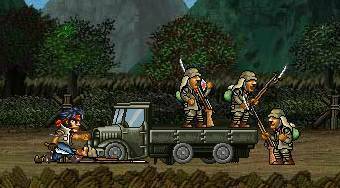 Your main hero is an elite paratrooper, who was sent on an extremely difficult military mission. Mercilessly liquidate the adversaries.